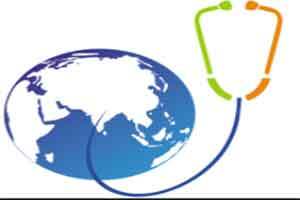 Bengaluru: The Global Association of Physicians of Indian Origin (GAPIO) on Saturday said it was planning to bring 15,000 retiring Indian-origin British doctors to provide expertise to short staffed medical institutions in India. “With huge shortage of doctors in India, we are trying to bring in services of about 15,000 retiring doctors from the United Kingdom to provide their expertise to the short staffed medical institutions across the country,” Ramesh Mehta, president of the British Association of Physicians of Indian Origin (BAPIO), said in a statement. Mehta, who is also the vice president of GAPIO, said that out of the 1.2 million Indian doctors working across the globe, 50,000 work in Britain. Non-profit organisation GAPIO calls Indian-origin doctors to interact and share their learning with each other annually at its conference. The first day of the two-day event featured talks on “Changing trends in the management of Type 2 diabetes”, “Antibiotic abuse and how to minimise it”, “Advances in IVF treatment”, and “Progress in minimal invasive surgery in Gynaecology” among others. Nearly 500 doctors are participating in the 2016 GAPIO international conference that will end on Sunday. Union Chemical and Fertilisers Minister Anant Kumar will release a special postal cover during the conference, the statement added. Important things to know are a) whether these BAPIO/GAPIO doctors will actually live and work in the District/Subdivision hospitals and colleges b) do they have any knowledge/experience in dealing with Tropical diseases, c) at what remuneration or is it pro bono, d) whether they have/have to obtain, Qualifications approved by the MCI e)whether they have to be provided perks NOT available for the local doctors f) whether they are Indian Citizens./ or have to be on visa arrangement with specific conditions re; IT liability, g) whether they will come under the purview of the Indian Courts for Medical negligence h) whether they are covered by the provisions of Consumer Grievances Redressal Forum and many such issues.